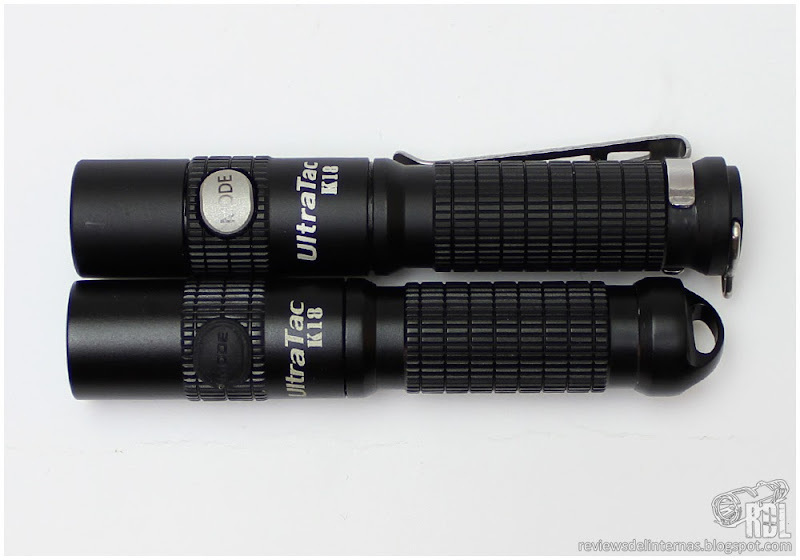 Ultratac has recently released an update of its K18 model, which I reviewed some time ago and in recent years has achieved some popularity thanks to its digital switch located at the head of the flashlight, an almost unique feature in the segment AAA. 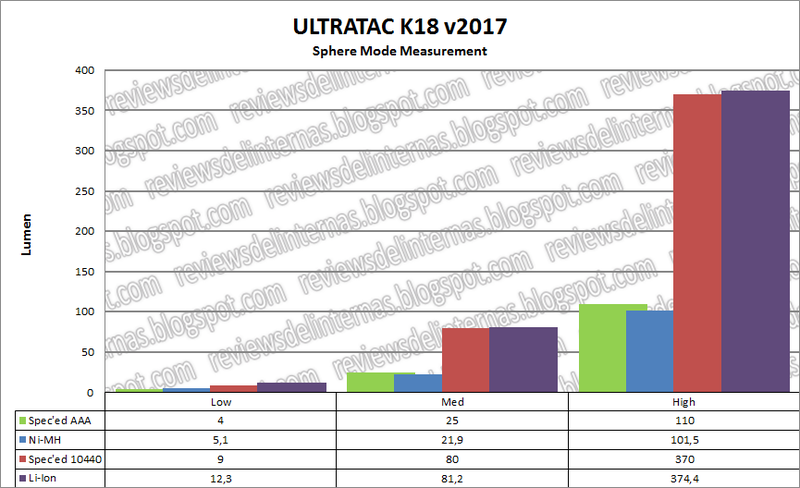 The new K18 is surnamed v2017 and comes presented in a very similar way as we saw in the previous version. 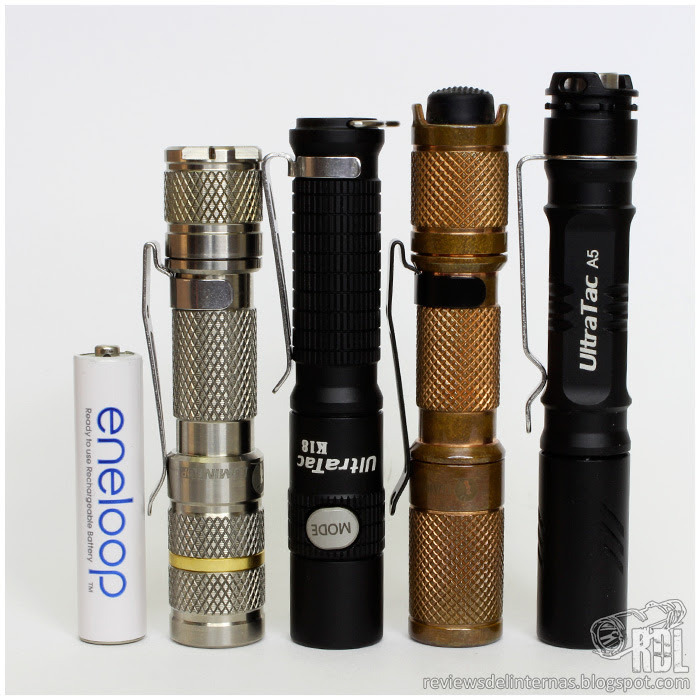 Inside an elegant telescopic carton previously clutched in full color we find the flashlight perfectly housed in the usual cuts of synthetic foam. 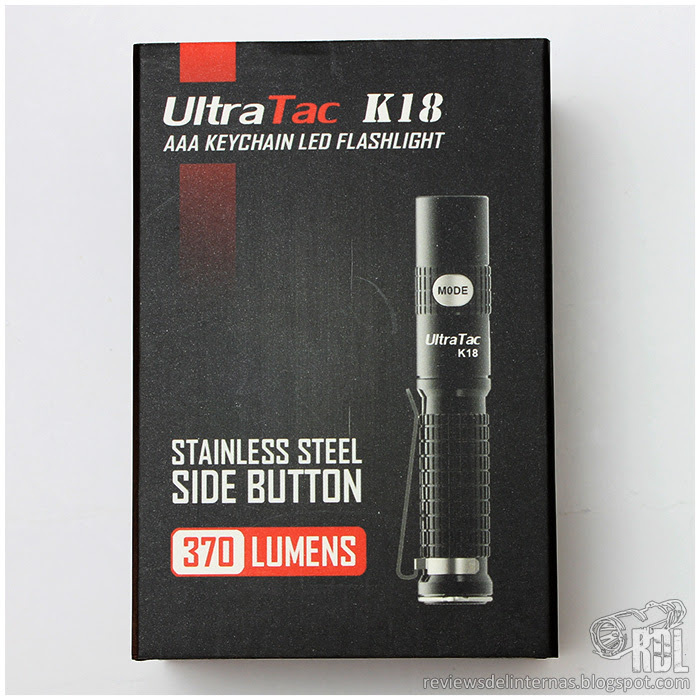 Accompanying the flashlight we will find a mini silicone diffuser (optional in the previous model), a pair of spare gaskets, an alkaline AAA battery hidden under the flashlight and a small instruction manual together with a warranty card. 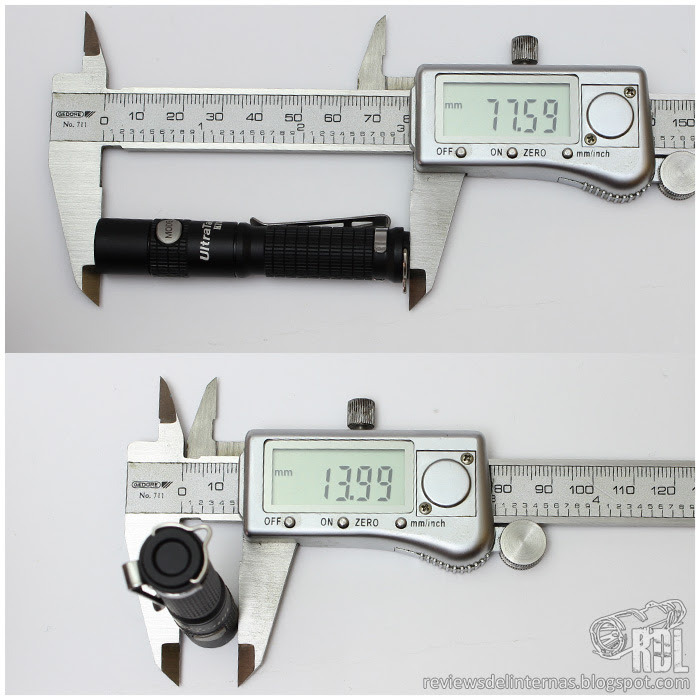 Outwardly the flashlight is very similar to its previous version, with only a couple of really important changes in its construction. 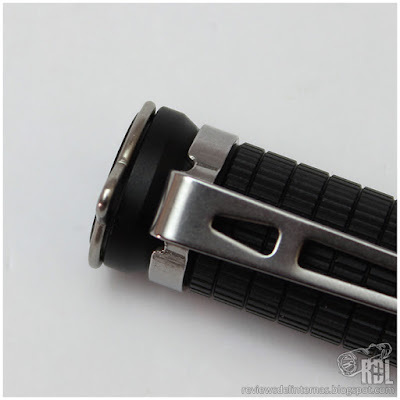 The overall design lines remain intact with excellent machining and a great matte black anodized, free of any imperfection or color difference. If we compare it directly with its previous version we will see that the first thing that catches our attention is the redesign of the tail area, where that rounded part with a huge hook becomes perfectly flat with a metallic hook on the side. 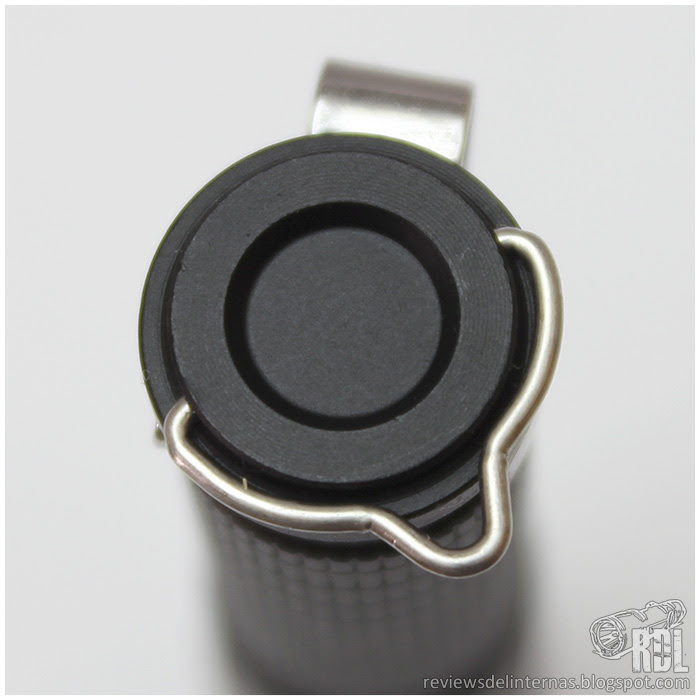 The side hitch is foldable, so that it can be deployed to facilitate the hitch, and be folded if the tailstand function is required, something that in conjunction with the mini silicone diffuser is extremely useful. The next most striking change is that the button coating is replaced: from the typical black silicone it now becomes stainless steel. The internal clicky has been replaced for a way more silent one too. The LED is now an XP-G2 S4, somewhat higher in performance than the previous model. 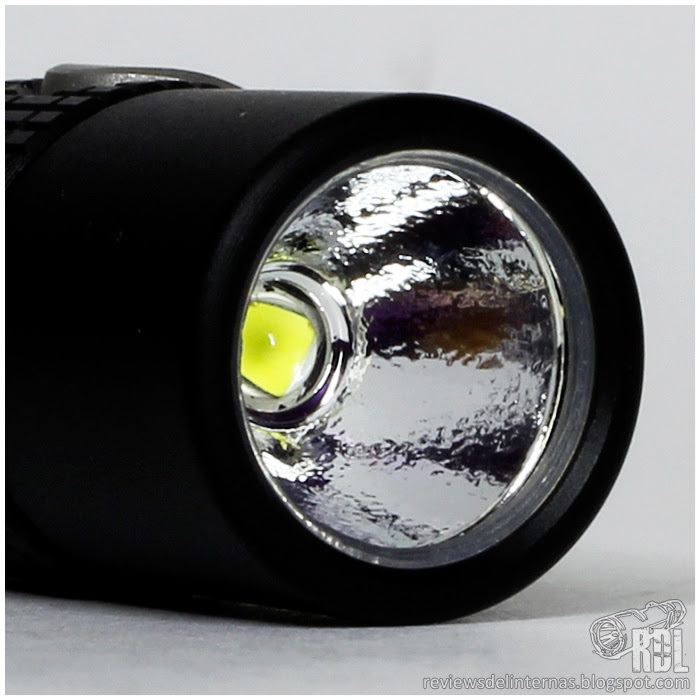 The optics have the same composition as the previous version, with the emitter well centered after a rough reflector, and a glass lens with AR treatment. The K18 v2017 now has more interior space to allow the use of 10440 protected batteries, which means that part of the space gained in the redesign of the tail is lost, obtaining a total length similar to the previous version. The redesign has also slightly touched electronics, with some new features implemented. 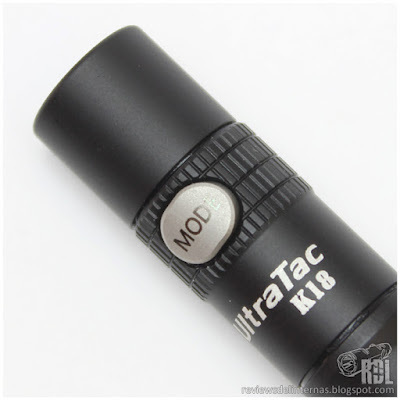 If in the previous version we needed a steel or brass model to have electronic locking (because the anodized aluminum models could be blocked by thread block), the new K18 v2017 already incorporates it also in the base version of anodized aluminum. We also have now a low voltage warning for li-ion battery. 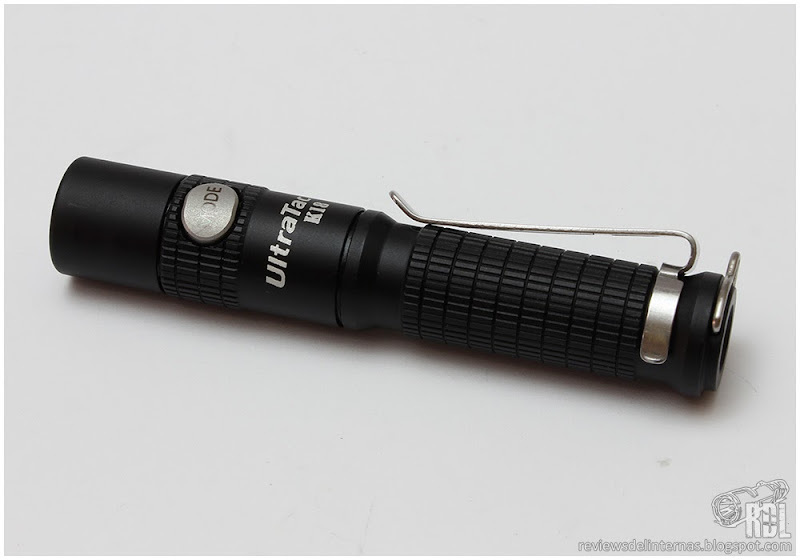 On and off: To turn on the flashlight, we must press the digital switch for half a second, and repeat the operation if we want to turn off the flashlight. 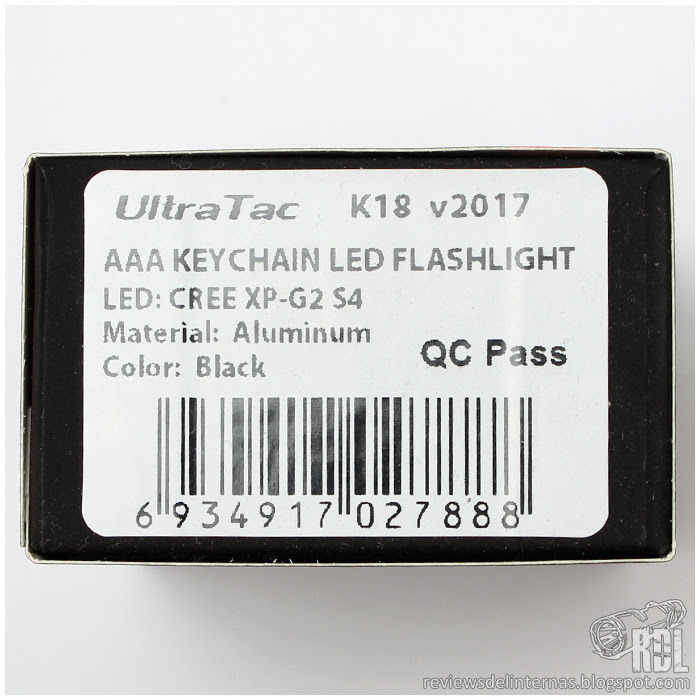 Memory: The K18 features mode memory function. This is remembering the last mode we used prior to its shutdown, and turns on it on its next power up. 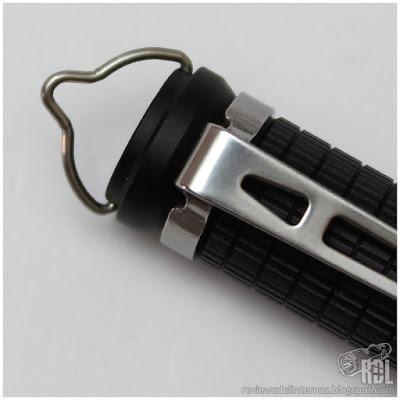 The memory is maintained even if, when the flashlight is off, we remove the battery. 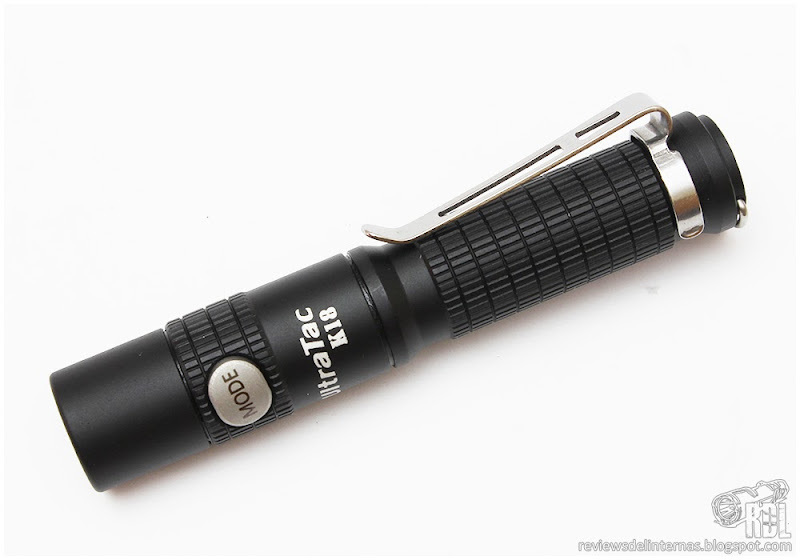 Strobe Mode: Like other small AAA flashlights, we have a hidden stroboscopic mode, which we can access if we make a quick double click with the flashlight on. Block-out: As I mentioned, the new K18 v2017 can be electronically locked to prevent accidental activation. Simply make a double click from the off to lock and unlock it. Of course, we can continue blocking the K18 v2017 by a slight unscrewing of his head. 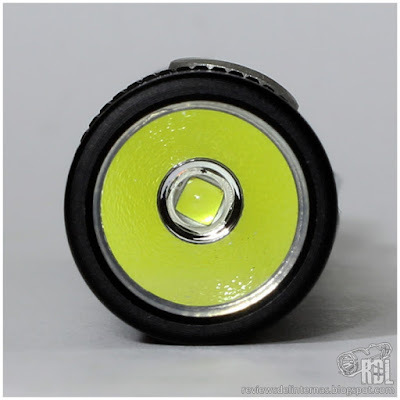 Low voltage warning: When using a 10440 the new K18 v2017 will warn us when the battery voltage is too low, going to low mode and performing a triple blink every approximately 5 seconds. In general, the specification for the distribution of modes is hardly modified as seen in the previous version, although thanks to the XP-G2 of greater bin the figures grow slightly in the readings. 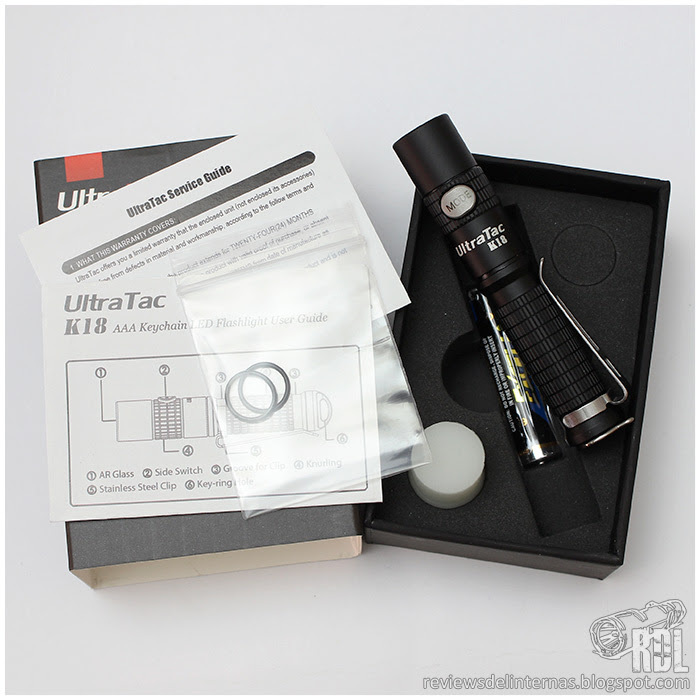 Surprisingly the new K18 v2017 gets an initial output very similar to that obtained with the previous version, although now the flashlight is able to reduce the initial drop to obtain a significantly higher output throughout its execution time, gaining significantly in efficiency, although it is also true that due to this the battery is discharged slightly before. Test with 10440 will come later. The projection has not changed in anything that what the previous version offers. Read more about it in the review of the previous version. The tint is good enough for being a high bin CREE, with a very slight yellowish tone in the area surrounding the hotspot. 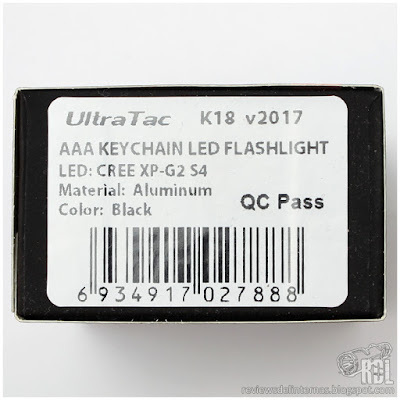 The K18 was a flashlight that brought something new to the AAA segment, where twisties predominate, and little by little they have been shed some clicky … but a digital switch located on the head of the flashlight was an authentic novelty. 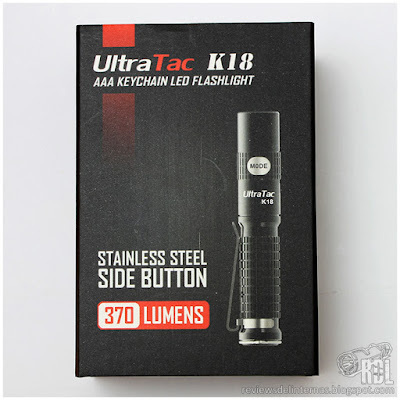 As a result of this success, the K18 has been popularized and its stainless steel version has even been chosen by users of ForoLinternas.com as the basis for its limited edition flashlight, personalized with the forum favicon. 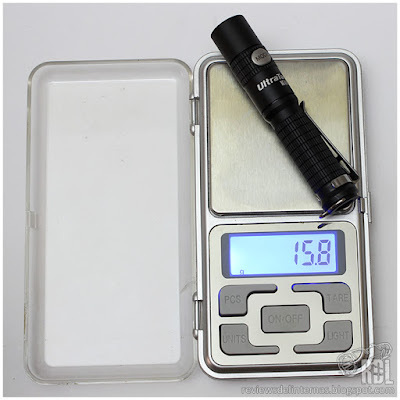 Negative aspects: One of the most interesting improvements has been somewhat masked by the redesign of the space for the battery, now much more generous to accommodate 10440 protected batteries, but significantly lengthening the flashlight. 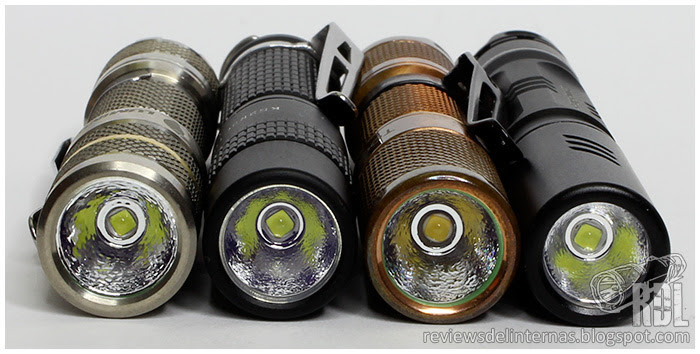 Personally I would have preferred that the flashlight had maintained its original dimensions but with the new tail design. 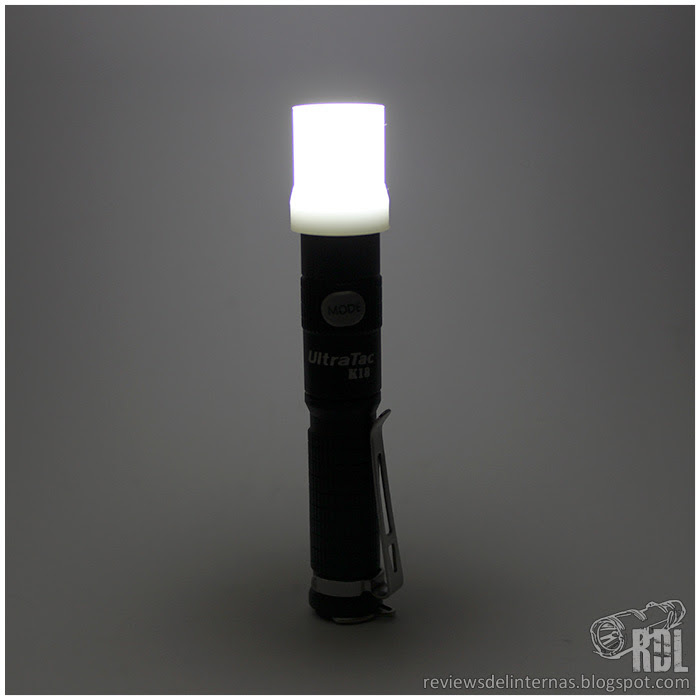 Positive aspects: The new base of the tail allows the flashlight to be able to pose on this without problems, which added to the now included series of silicone diffuser make the K18 v2017 has taken an important step forward. 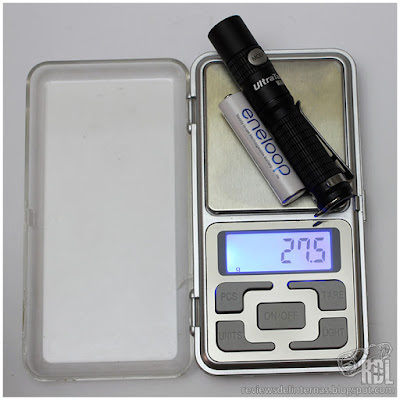 The Li-ion 10440 battery compatibility has also been improved with the new low-voltage warning function. Also now the flashlight can also be blocked electronically. I have two first generation stainless steel K18s. I really like the electronic lock out. It’s nice to see that on the aluminum version now. I also like the inclusion of a low voltage warning when using a 10440. I only use mine with unprotected 10440s and low voltage is always a concern. It looks like the MODE button is not aligned properly in your example. 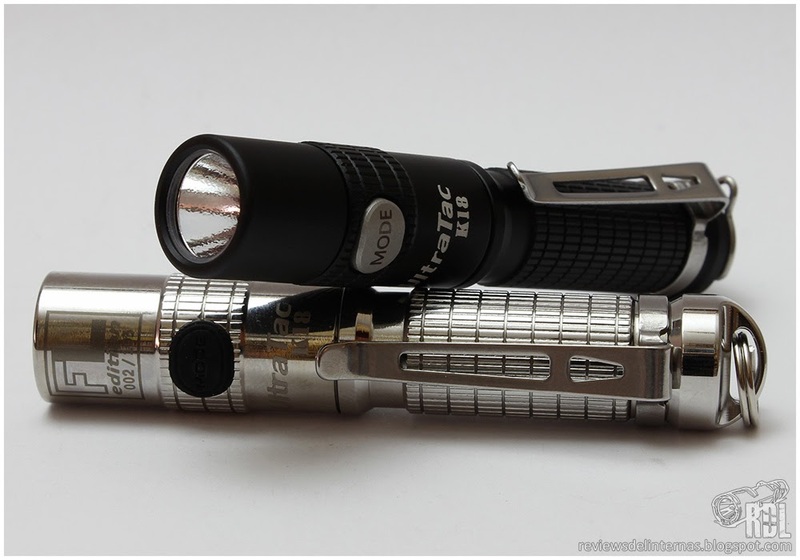 It would be nice to include the first generation K18 next to the v2017 in the pictures with the different lights side by side. 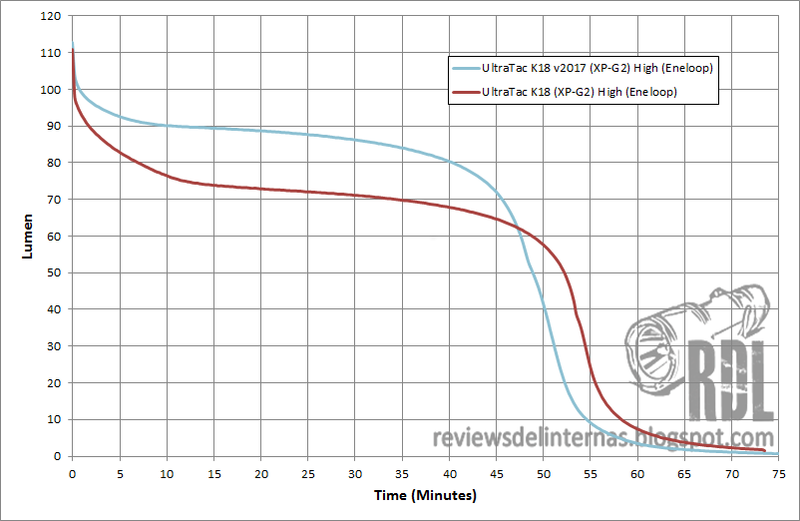 Do you know if a stainless steel v2017 is going to be available? I would definitely buy one. Seems they have improved a lot of things. Also the tailstanding ...which is major for me. @UPz would you please compare in detail tint between this and the old 2016 version? Nice upgrades, especially the LVP. 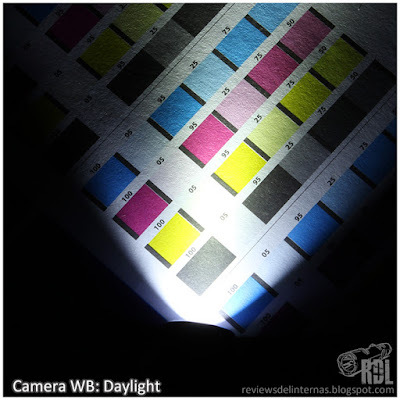 great review, thanks were the old models available in NW version maybe?